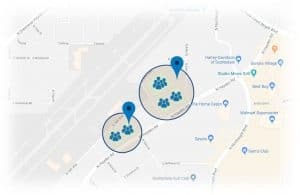 Washington, DC March 8th, 2018 – Vagabond (vgbnd.co) announced the release of vīv Delivery, an extremely targeted local commerce solution for route operators and their accounts. vīv Delivery adds new revenue streams while making operators the centerpiece of business in their local community. vīv Delivery is based on the premise that operators in the convenience services industry should provide comprehensive market, breakroom and catering services to accounts and rightfully take a slice of the dollars spent on all products consumed in the workplace. vīv Delivery allows consumers and businesses to order select items for delivery from their favorite local merchants while allowing merchants to offer product to consumers in an extremely targeted manner. 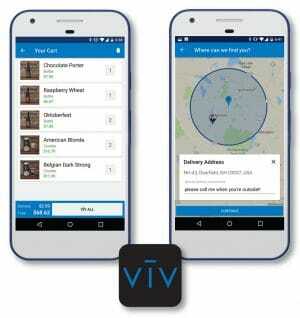 Operators can wholesale pre-ordered products from their warehouse or commissary and also work with local businesses such as restaurants and breweries to onboard their menu with vīv allowing consumers to see what items are on offer. Just as with vīv Vending and vīv Markets, consumers only see what products are on offer in their building and can choose from flexible payment options to purchase their favorite supplies, meals or drinks through a secure payment method. With vīv Delivery, Vagabond introduces the next great innovation in micro-markets — Hybrid Markets. Hybrid Markets fight theft and spoilage by allowing consumers to pre-order fresh foods to be picked up at their market or breakroom fridge. Operators can increase variety and reduce commissary costs by using vīv to offer selections from local restaurants and pre-packaged meals companies who are dying for access into operators’ accounts. In total, the Hybrid Market & Delivery concept powered by vīv enables operators to take a piece of the revenue from all food consumed in the workplace — even that which they do not deliver themselves. Vagabond’s mission to increase profits for the convenience services industry continues as businesses are able to add revenue streams from vīv Delivery. Since 2017, Ballad Brewing in Danville, VA has been using vīv to fulfill orders of craft beer and merchandise to surrounding business accounts. “We gotta get the people their beer!”, says Tim Meyers, Business Operations Manager at Ballad Brewing, a vīv Merchant, “and vīv helps us put it in the hands of those who otherwise wouldn’t be by the brewery.” Vagabond reconciles the accounts per pre-arranged revenue split arrangements between the merchant and the partner operator. Operators can work with corporate caterers, bakeries, delis, restaurants and other product suppliers to fulfill orders through Vagabond’s vīv Commerce fulfillment platform. This strengthens an operator’s established relationships with accounts by incorporating other local businesses to provide services into that account. In addition to providing links in the local business community, operators also profit by making a percentage from every order processed through vīv. Vagabond’s vīv Commerce platform offers ultimate flexibility so members using vīv Delivery can customize open hours, menus, pricing, minimum shopping cart requirements, delivery fees while targeting exactly what they want to sell and exactly where they want to sell it, usually very small but densely populated buildings or neighborhoods. About vīv: The vīv Commerce platform, powered by Vagabond (vgbnd.co), drives growth for food, beverage and facilities services companies by adding new revenue streams and encouraging commerce between them and their accounts. In addition, vīv helps businesses connect and support their local communities through targeted commerce. vīv can be used by consumers at vending machines and kiosk-less micro markets, by bakers selling bread to restaurants, by breweries delivering beer to homes, or by route operators catering to or selling office, breakroom, and janitorial supplies to other businesses in their area. vīv enables businesses to delight consumers with a beautiful targeted e-commerce experience while sourcing products that people want, where and when they want them. vīv establishes direct relationships between brands, retailers and individual consumers. Food, beverage and facility services providers bolster key personal relationships with accounts while adding substantial profits to the bottom line powered by vīv. About Vagabond – (vgbnd.co) Vagabond makes technology solutions for the food & beverage services community. Its members are generally route-based businesses that provide vending, breakroom & facilities services to other businesses in their region. Vagabond’s software tools help them operate efficiently and also enable commerce between them and their accounts. Its operations solutions provide assistance with inventory management, product merchandising, route scheduling, and financial accountability. Its commerce solutions enable mobile payments at machines or markets while also enabling the ordering and fulfillment of catering, office, breakroom, and facilities supplies. By implementing Vagabond, operators can increase profits and expand their businesses. Their revenues are higher because they’re offering more ways to pay and adding revenue streams by promoting all types of route-based commerce using the operations infrastructure they’ve already built. Theft is eliminated and costs are contained because fewer drivers are driving fewer miles servicing more products to more accounts.